@ jericho Law is it's actually legal to remove it yourself, but damaging the clamp is against the law. 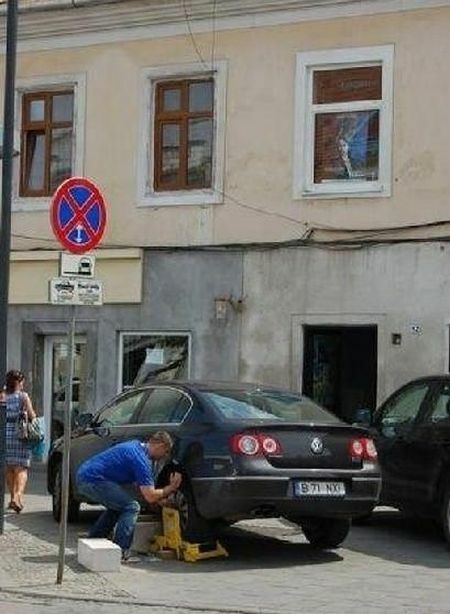 So since he removed the tyre, he can just take the tyre with him, clamp included. 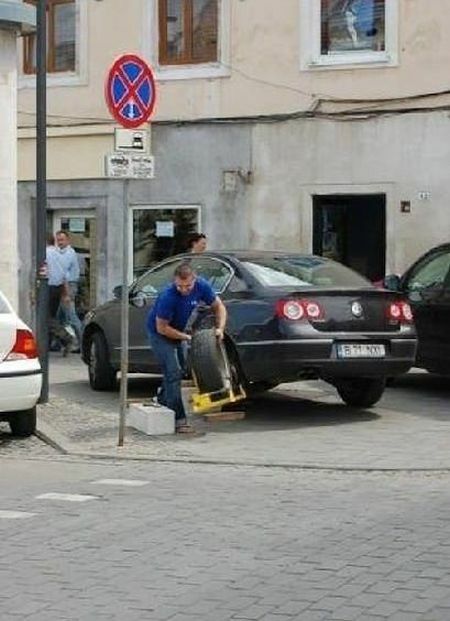 So no fine, and he gets to keep the tyre too. 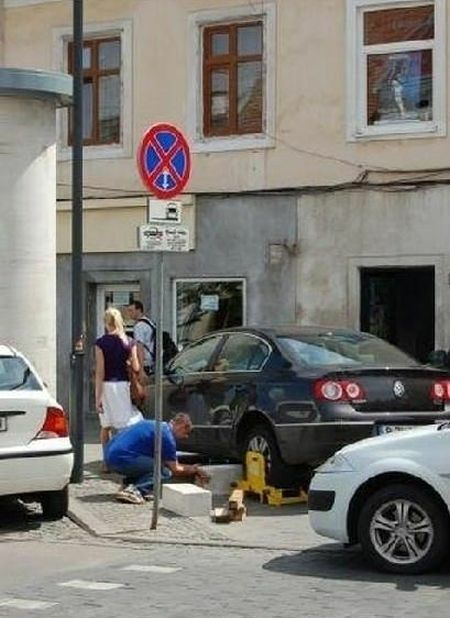 He can take his time removing the clamp from the comfort of his own home. I've seen it been done before, no fine, nothing! I thought these "wheel locks" covered the entire wheel, so there would be no way to remove it. Must be some kind of piss-poor design. 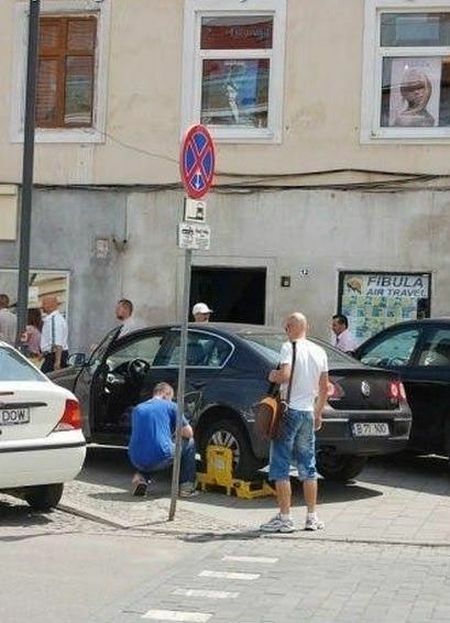 Romania does not let you down. Again. 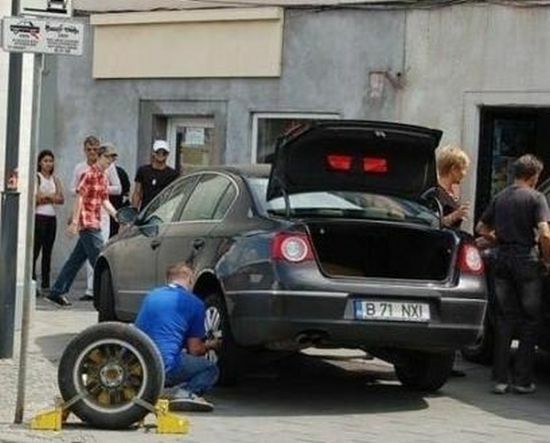 hmmm .. not buying this, the wheel nuts ..
another VW commercial for the full size spare?